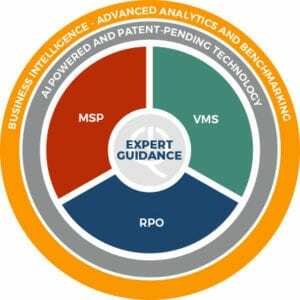 Workforce Logiq leverages a proprietary portfolio of advanced technology, data analytics and expert guides to deliver our flagship Managed Services Provider (MSP), Vendor Management System (VMS) and Recruitment Process Outsourcing (RPO) solutions. Our customers rely on these offerings to serve as the brains and heartbeat of their workforce operations and to deliver maximum flexibility, visibility, cost-effectiveness and control across their entire talent life cycle. Every aspect of our web- and mobile-based solution includes an invaluable feature that goes far beyond what other companies can offer: Unmatched Intelligence.